Linda Evenhuis will team up with several leading experts from various industries to release the new book, “Success Manifesto: The World's Leading Entrepreneurs and Professionals Reveal Their Secrets For Achieving Success in Your Health, Wealth, and Lifestyle.” by CelebrityPress®. Orlando, FL -- June 15, 2016 – Linda Evenhuis, Founder of the Health Builds Wealth Club, has joined success expert Brian Tracy, along with a select group of experts and professionals, to co-write the forthcoming book titled, Success Manifesto: The World's Leading Entrepreneurs and Professionals Reveal Their Secrets For Achieving Success in Your Health, Wealth, and Lifestyle. Nick Nanton, Esq., along with business partner, JW Dicks, Esq., the leading agents to Celebrity Experts® worldwide, recently signed a publishing deal with Evenhuis to contribute his expertise to the book, which will be released under their CelebrityPress® imprint. 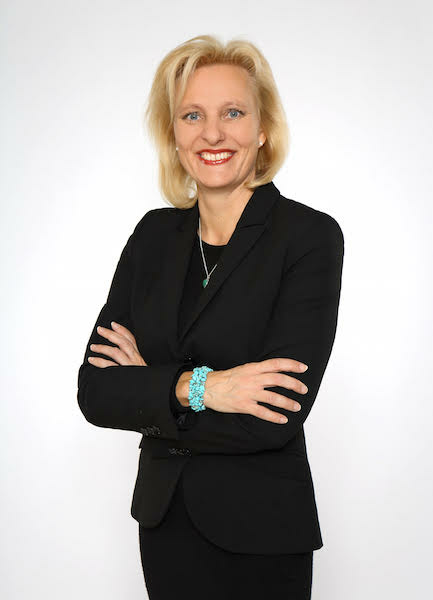 Linda Evenhuis empowers others to be at their best by designing and conducting trainings, workshops and motivational talks for the Adidas Group and the Health Builds Wealth Club. She fosters a culture of positive empowerment and unites people in order for them to reach their highest (health and wealth) potential and meet their business goals. She was brought up in a family that owned a small business where client loyalty, joy, open-mindedness and respecting each individual´s life purpose were the foundation. The milestones for Linda´s road to success were hereby defined. Linda has a Bachelor Degree in International Business and Languages and communicates in five languages; Dutch, English, German, French and Spanish. To unleash her passion for Business Development and Relationship Management, she started her career as a global player working in the fashion and the banking industry. International Business, Account and Relationship Management positions were her main domain, where understanding and communicating with clients, product marketing, and overseeing operational and financial needs were her key focuses. Moreover, she oversaw contract compliance, payment terms negotiation, and ensured that payment, lending, investment and securities business ran efficiently and effectively. Linda has a passion for conquering new territories through cold acquisition and she is always looking for a win-win situation and entering unpaved roads to success. Whilst on this career journey, she noticed she is a natural talent at empowering others and fostering a positive, goal oriented driven culture. She started as a Retail Trainer at the Centre of Excellence Talent at the Adidas Group for Germany, Austria and Switzerland, where she combined her business and training skills. Together with Stephanie Dust, she co-designed and co-facilitated a new business demand-led retail university program and an in-depth weekly training curriculum based on specializations in emotional selling, customer service, brand loyalty, and values. Her efforts were recognized and in 2013, she received the Manager of the Year “Inspiration” award. Linda was promoted to Senior Manager Learning EMEA markets at the HR Talent Department, where she continues figuring as a key point of contact for the HR Community to build and deliver trainings and workshops. Linda is also part of the leadership team at the Adidas Women´s Network where she advises on the Training and Development curriculum. The “Fit to Lead” program is one of her core responsibilities. Inspired by her own health journey, she successfully initiated a new Health Module focused on movement, nutrition, burnout prevention and a healthy mindset. With her acquired business acumen, creativity, and passion for people, she pursues her road to success by managing her private business the “Health Builds Wealth Club”. There she focuses on a curriculum based on a “healthy body” through the alkaline lifestyle and ionized water in conjunction with running champion Gesa Bohn. A “healthy mind” is conceived by the Success Principles and “healthy finance” will teach how to build a passive income with ionized water and developing your own business.